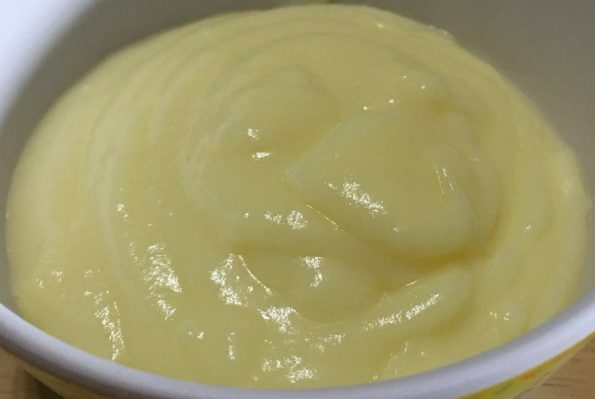 This is very simple and easy recipe to make egg based custard without custard powder at home. You can enjoy this homemade custard as a simple and easy dessert on its own and it tastes best when chilled, but you can also enjoy it warm or at room temperature as you prefer. 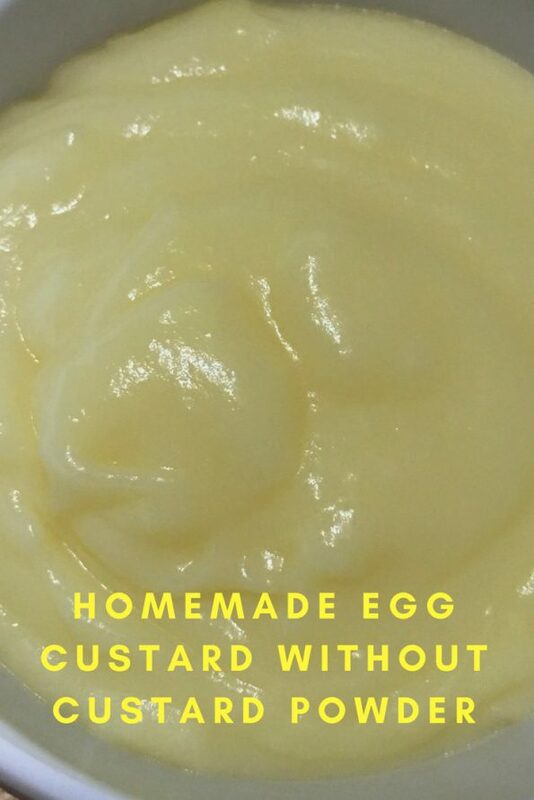 If you want to make an egg free custard, try this easy custard recipe without eggs or custard powder here. Delicious custard can be easily made at home using custard powder (which you can buy online here) but you can also make delicious homemade egg custard following this easy egg custard recipe without using custard powder. 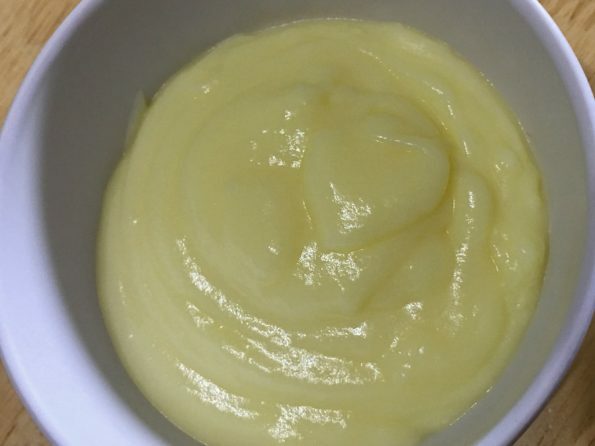 We only need very few ingredients to make this homemade custard without custard powder and we use cornstarch to add thickness to the custard. The one thing that you need to make sure while preparing this homemade custard is to mix it well without forming any lumps, as that is very important for a smooth and creamy texture of the custard. 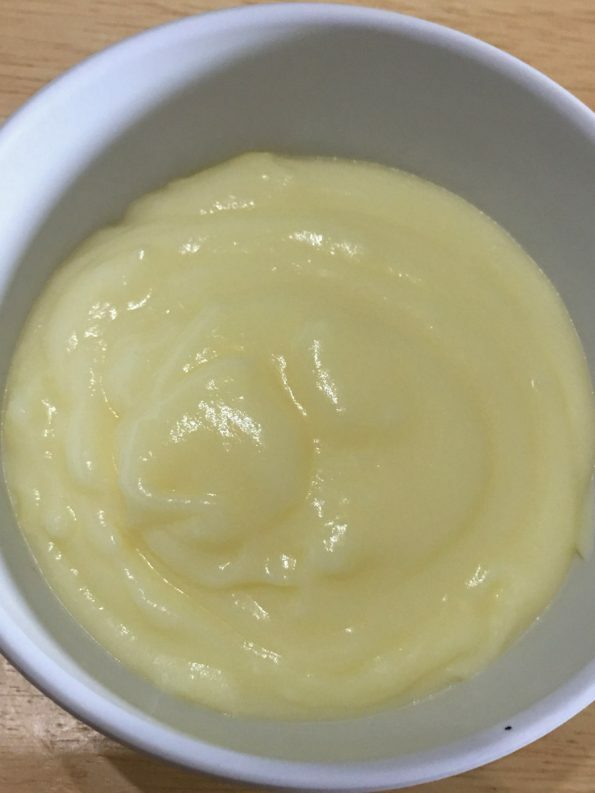 If needed, you can strain this custard through a strainer which will ensure there is no lumps in the custard. 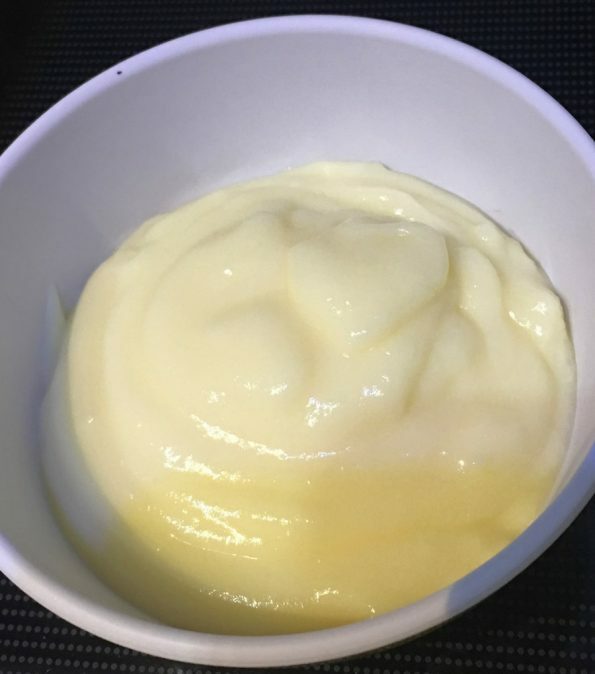 Chill this custard and add chopped fruits to make a simple and easy fruit custard or fruit salad or use this custard as a base in other desserts like simple puddings where custard is called. So here is how you can make this simple, easy and yummy custard without custard powder following this easy custard recipe at home. Easy egg custard recipe without using custard powder. 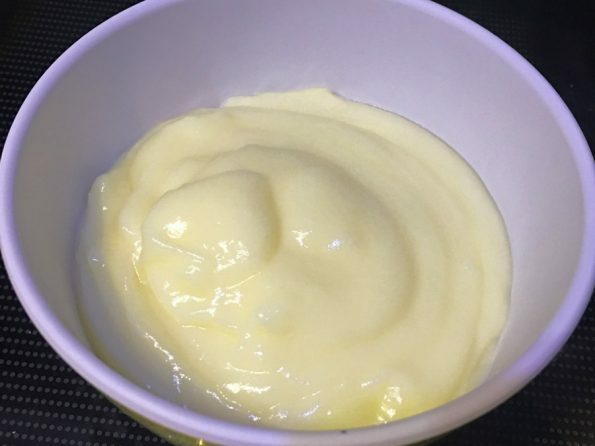 This is simple and delicious when enjoyed warm or chilled and can be used as a base for other custard based desserts like puddings, ice creams etc. Add 2 cups of milk to the whisked eggs and whisk again to make a smooth egg milk mixture. I recommend straining this mixture through a good quality strainer in case the mixture is not very smooth. In a small bowl, add the cornstarch and 1/2 cup of milk, mix very well to form the cornstarch base without any lumps. Add the remaining 1/2 cup of milk to the cornstarch mixture and mix well to form a smooth mixture. 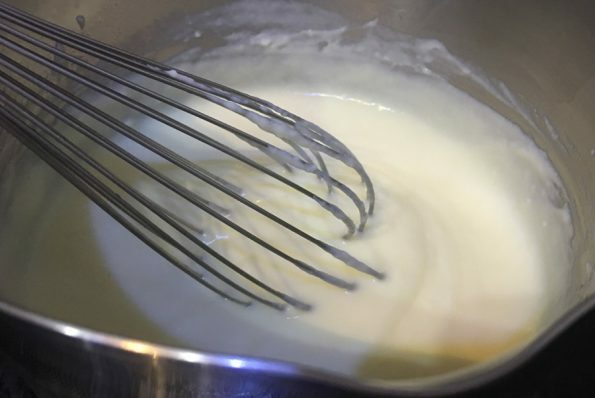 Add this cornstarch milk mixture to the egg milk mixture, mix everything very well, you can use the balloon whisk for the best possible consistency. Transfer the contents to a medium sized saucepan, add in the sugar and vanilla essence, stir everything well and bring the mixture to a boil by cooking in medium heat, stirring continuously using a good wooden spoon or use a good quality steel spatula. Stirring continuously, cook the mixture in medium heat until the mixture is creamy. Mine took around 8 to 9 minutes to reach the desired consistency. You do not need to cook it further as the custard will further thicken a bit as it cools down. Once the custard is done, switch off the stove and keep the saucepan away from heat. 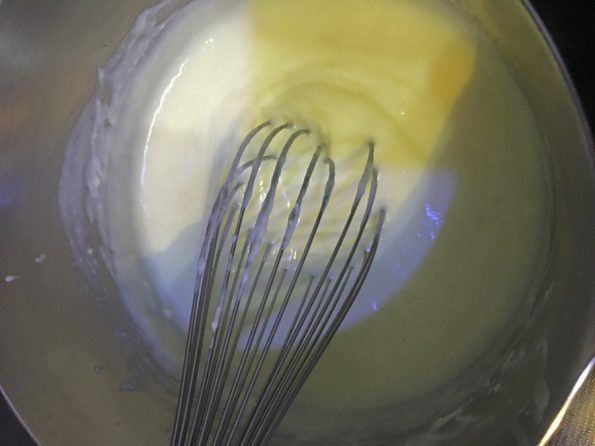 Whisk the custard again using a balloon whisk for the best, smooth and creamy texture. 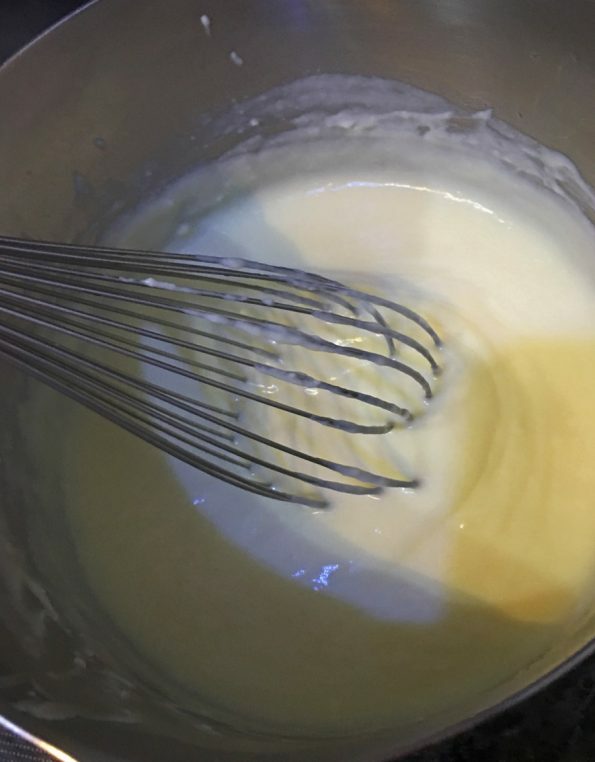 You can check the sugar and if needed, you can add more sugar and vanilla essence to the custard, mix again very well using a balloon whisk. Let the custard cool down, and once it is cooled, it is ready to be used as you like, either warm or chilled or use as a base for other recipes. 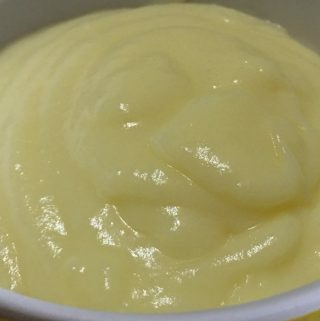 Hope you found this post on egg custard without custard powder helpful in making easy and yummy custard for desserts.